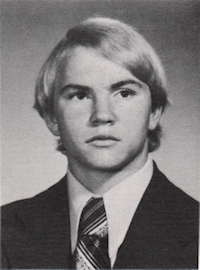 Obituary – Keith, Gary Lynn « Perry High School Alumni Association, Inc.
Gary L. Keith, 59, died on Wednesday, May 22, 2013 in Tulsa, Oklahoma. His funeral service will be held at 2:00 p.m. on Saturday, May 25th at the Strode Funeral Home Chapel in Stillwater. Interment will follow at Fairview Cemetery in Perry, Oklahoma. Strode Funeral Home is in charge of arrangements. On September 9, 1953, Gary was born in Perry, Oklahoma to Lloyd Lester and Grace Lenora (Howell) Keith. He was their tenth child out of thirteen. He graduated from Perry High School, and was a member of the high school wrestling team. During his lifetime, he worked with the Oklahoma Highway Department out of Perry, RL Frailey, Inc. in Noble County and was a case worker for a while as well. Gary loved the Lord and loved sharing his faith. He was loved by all, and had a wonderful sense of humor that will be greatly missed. He is preceded in death by his parents; sister, Connie Sue Lesh; brothers, Jimmie Lee Keith and Lloyd Eugene Keith; brothers-in-law, Eleazar Diaz and Rollie LeForce; and sister-in-law, Earlene Keith. Gary is survived by his brother, Wilbur Keith; sister, Louise Harris, and her husband, John; sister, Edith Terronez, and her husband, Bobby; sister, Charlotte Diaz; brother, Floyd Dean Keith, and his wife, Cheryl; sister, Flora LeForce; sister, Vickie Lemon, and her husband, John; brother, Terry Don Keith, and his wife, Janelle; sister, Grace Ann Steichen, and her husband, David; sister-in-law, Betty Keith; and many nieces and nephews. Memorial contributions may be made in his name to the Hospice of North Central Oklahoma at 1904 North Union, Suite 103, Ponca City, OK 74601.